To report online: Please complete the form below to the best of your ability. All questions with a red * asterik must be answered before submission in order to be able to address the problem; the victim and the bully must be identified. 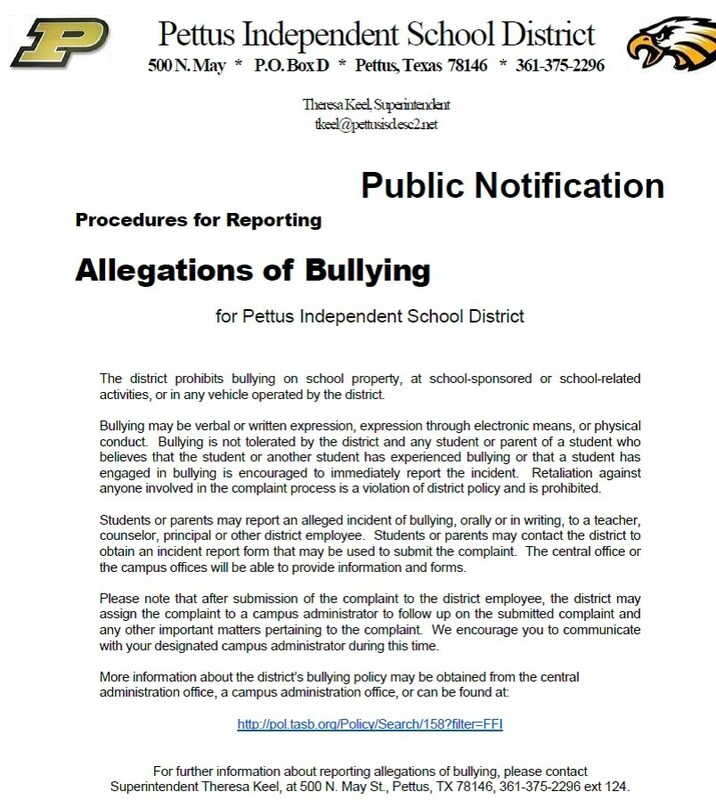 THIS INFORMATION IS ADDRESSED BY THE ADMINISTRATORS OF THE DISTRICT AND IS STRICTLY CONFIDENTIAL!